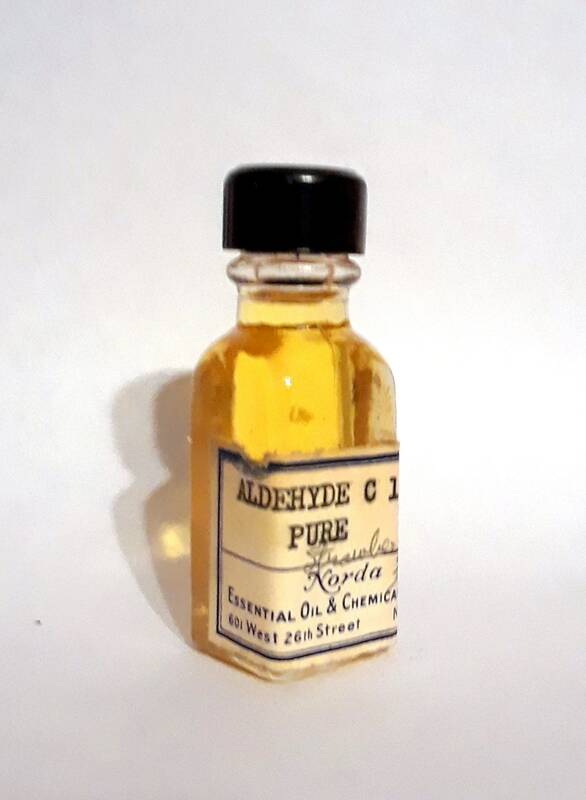 This is a vintage 1930s 5ml bottle of "Aldehyde C16 Pure" PERFUME BASE from George Fries. It is in a clear glass, French square type bottle with black bakelite screw cap and Norda paper label. This is a base used for the creation of fruity (strawberry) perfumes. This would be perfect for anyone interested in creating their own perfume, studying fragrance and raw materials or for vintage fragrance collecting. This is very old and the contents may no longer be usable and the label has wear or staining. I do not guarantee any fragrance or contents contained within the bottle. Apart from the obvious utilisation in strawberry compounds, this product is useful in a variety of floral compositions, such as jasmine and rose. Strawberry Pure adds warmth to a fragrance as well as reinforcing top notes. 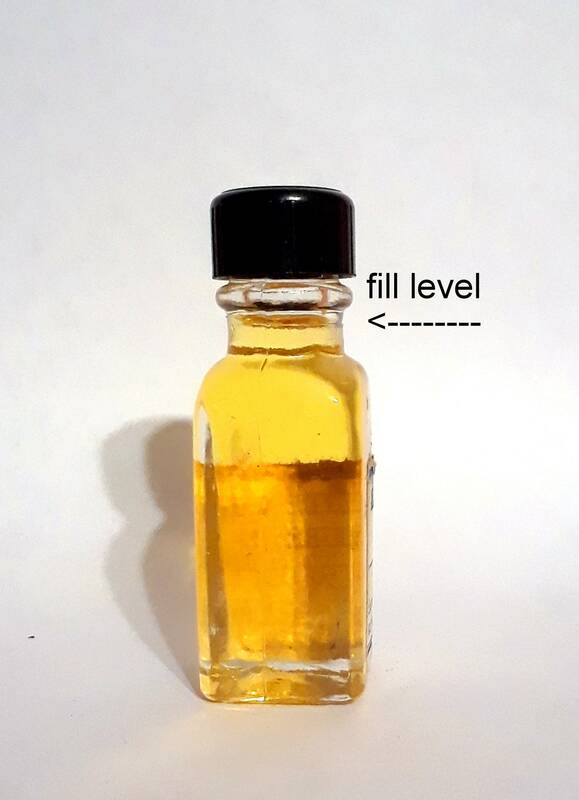 It blends particularly well with ionones, hydroxycitronellal, woody notes, aldehydes and fruity lactones. This is just one of the bottles that I acquired, through a buyer, of raw materials from the Dr. Stephen Gerard Capkovitz estate in Tenafly, Bergen County, New Jersey. Many of these bottles of perfume oils and chemicals Capkovitz personally used in the creation and experimentation of perfume. I also have lab glassware and other raw material bottles. Most are from NORDA. 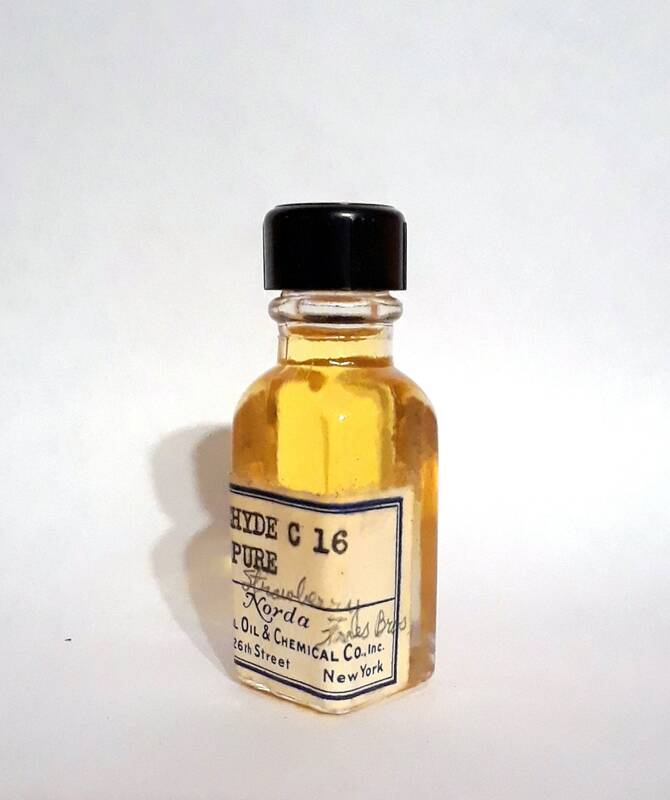 The Norda bottles date to the 1930s-1950s and most likely were used while he was blending perfumes for Yardley, Colgate and Prince Matchabelli, SB Penick and possibly others from 1930s-1970s. They were put in storage at the Capkovitz estate around the 1980s until 2017 when it was sold and all contents liquidated through an estate sale when the home was sold. In 1950, Stephen G. Capkovitz was appointed the chief chemist and perfumer for Prince Matchabelli. Stephen G. Capkovitz (Feb 12, 1917 - Dec 23, 1988), also worked for Seaforth Inc (who was owned by Vicks) and the Sofskin Company in the 1950s. In 1958, Vicks sold Prince Matchabelli to Chesebrough-Ponds. Formerly, he was chief chemist for Yardley, and was associated in similar capacity with Albert Verley and Co, and then head of the perfumery division of the research and development for Colgate-Palmolive-Peet/Jeurelle-Seventeen in 1952. He was assistant perfumer for Norda Essential Oil & Chemical Co. Norda used many of the H. Carles raw materials as evidenced by vintage 1950s photographs of the factory interiors. He was a graduate of New York University and continued studies at Columbia University and the Brooklyn Polytechnic Institute. He joined SB Penick & Co of New York in January of 1957 as a technical sales representative and was promoted to manager of the perfume, flavor and aromatic chemicals division a few months later. He was still employed at the company in 1961. Capkovitz was also a member of the Society of Flavor Chemists, and the American Oil Chemists Society in 1940, as well as the American Institute of Chemists where he was elected in 1951. In 1978, I see that Capkovitz was the director of fragrance research at the Warner-Jenkinson Company at their new plant in Carlstadt, NJ housing Warner-Jenkinson East, Inc and Creative Perfumers. This facility provided eastern clients with FD&C colors, flavors and fragrances.